David has a general corporate and business background, over the years serving company boards and CEOs as their "first call" trusted advisor. He has extensive experience in mergers and acquisitions, employee relations, intellectual property protection, franchising and distribution relationships, international law, corporate governance and D&O liability, and representation of insurance companies and health care providers. David is an honors graduate of Ohio Wesleyan University and Harvard Law School. David is listed in Best Lawyers in America and was selected for inclusion in Ohio Super Lawyers. 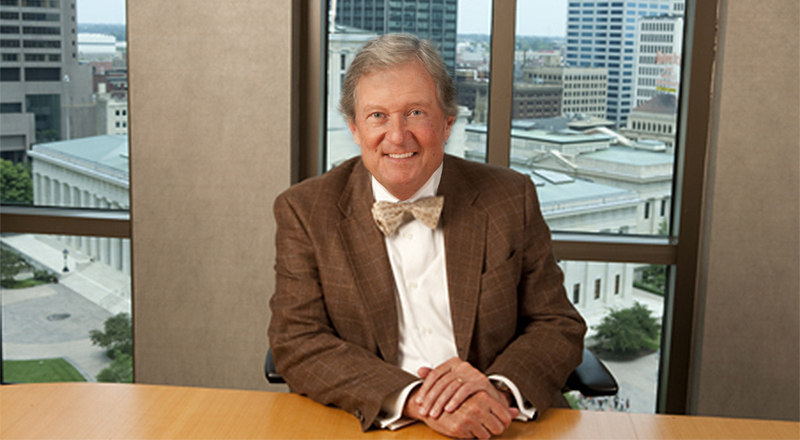 He is available to answer all questions regarding the firm and especially the Columbus-based practice.